Yesterday we discussed Blood Plasma, today we will talk about Red Blood Cells. Red Blood Cells, (RBCs) also called erythrocytes, are the most common type of blood cell. Like all of our blood cells, RBCs originate in the bone marrow. They are flexible, oval shaped cells which carry oxygen and CO2 around the body. 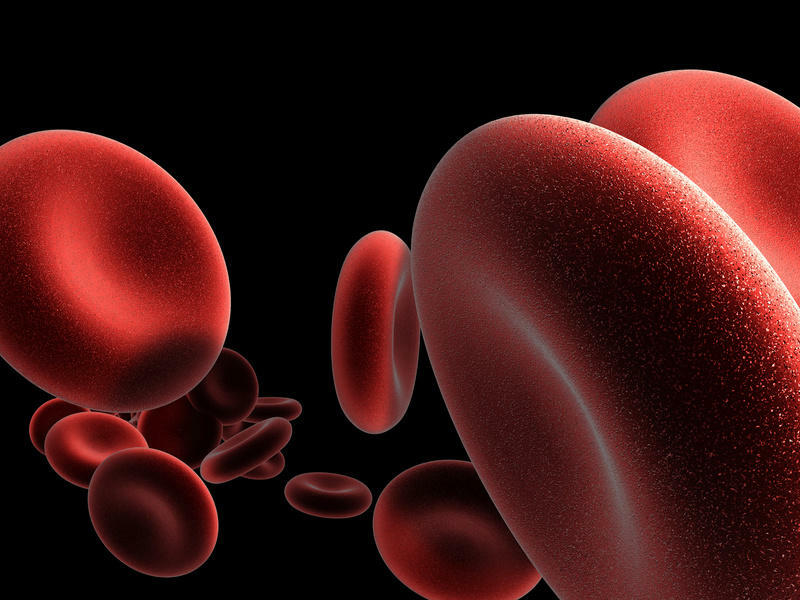 Hemoglobin, an iron rich protein, is what makes carrying oxygen through the body possible. It is also what makes your blood red. Hematocrit, is the percentage of whole blood that is made up of RBCs. The production of RBCs is triggered by a hormone which is produced in the kidneys. This hormone tells your bone marrow to produce immature RBCs, which then spend about 7 days, maturing in the marrow. After they are matured, RBCs spend about 120 days in the system. There is a delicate balance to all blood cells in the body, each type of cell has a proper range. When these ranges get out of whack, that’s when issues arise. 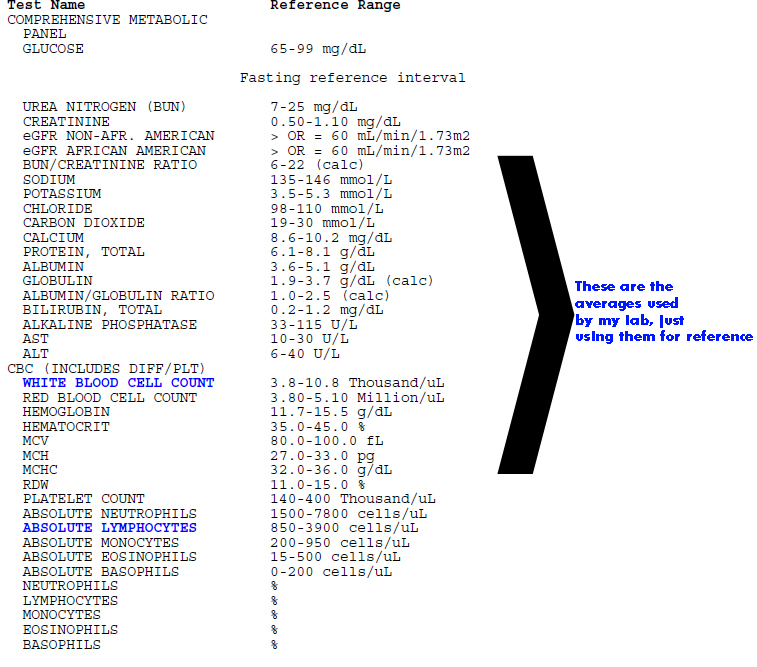 Below is the averages used by my lab for each different blood component. Later we’ll go into more detail on what to pay attention to on a CBC. That is all for today, tomorrow we’ll be talking about White Blood Cells!